he stops every man from his labor. As much as you want to sell 'em, the rest of us want to buy 'em. Please, rain, go away, and let the man do his work! It would do us all well to remember "in God's time". 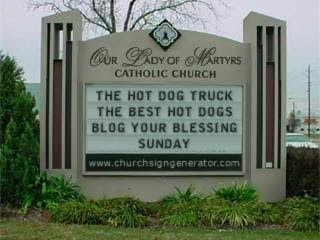 Blessings on the opening of yoru hot dog season. If you weren't so far away, I'd take mien with double sauerkraut only please. 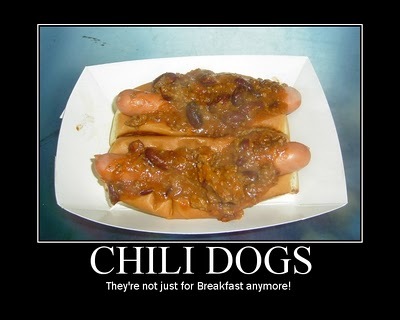 You are ready for the next hot dog season.. I like the new truck! What is that sticking out the front, a generator? It is gloomy in Central Texas, but 70 degrees. However, Dallas, Texas had 7 inches of snow. Have you ever seen snow in Texas? The highways look like bumper cars and there are big clumps of cars at the bottom of hills. Hope you get all the critical work done in time for the opening!! !